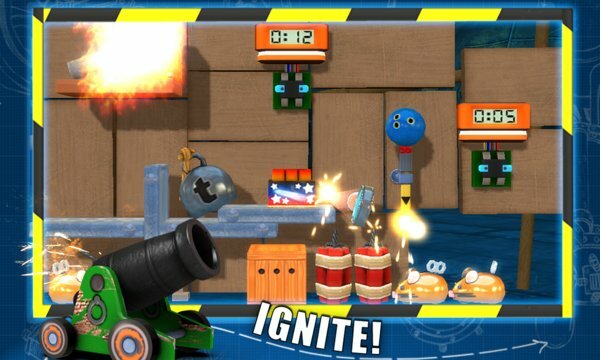 The award winning Crazy Machines is now available at the tap of your finger, made especially for Windows 8! 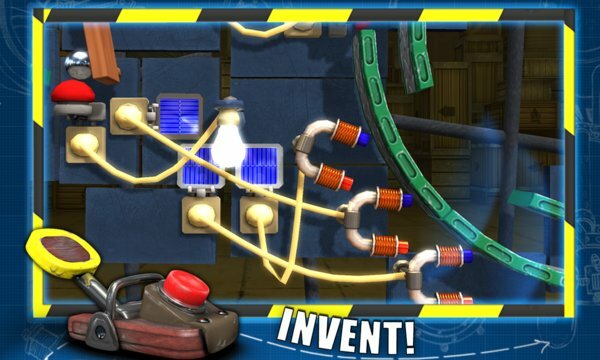 In this "Rube Goldberg" style puzzle game, experiment and build your wacky contraptions with physics action like never before on the mobile platform! Dazzling visuals of explosives, fire, and true to life physics behavior when you put the experiment into motion! Play up to 8 Challenge levels for free! Try it out! Like it, then, buy it! Unlock the vast playing world of Crazy Machines Golden Gears for just $ 2.99. Gain access to all Challenge Levels plus the Editor! Step into a playground where endless levels are created by and shared by the CMGG community! The level editor allows players to create puzzles on their device and share them with the community. Anyone can download puzzles created by other players and play them!